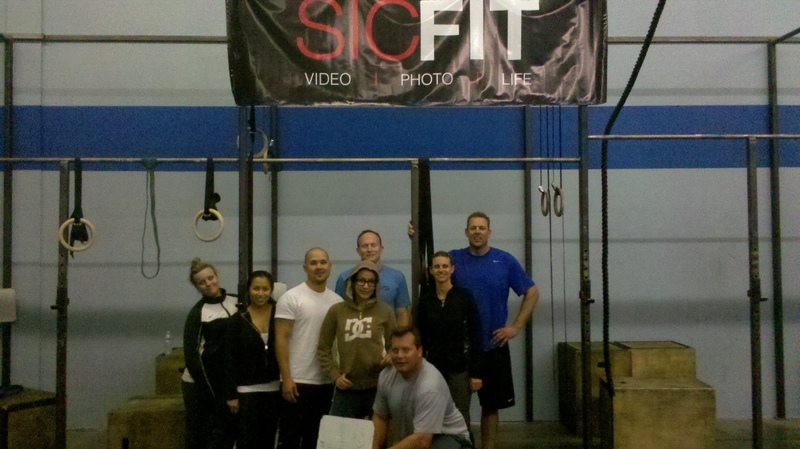 March’s On-Ramp group after smashing tonight’s AMRAP. Good work and get ready to meet some more new people at CrownTown. This entry was posted in Uncategorized and tagged ring handstand push-ups, Squat cleans. Bookmark the permalink. I just noticed our site is back up! Nice. Shooting for sub 4 minutes on today’s WOD. Yezer, you got that all day. I did it last night in 6:19. If you don’t beat me I’m making you do 12.1 one more time as your cool down.